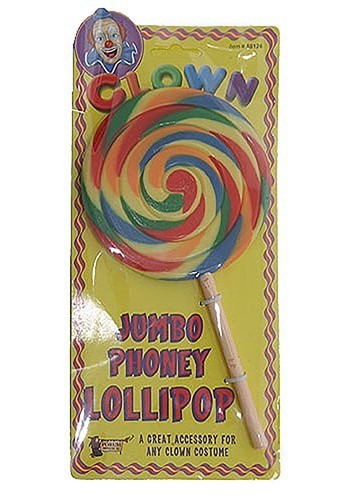 Look just like a munchkin from the Lollipop Guild with this toy lollipop. The plastic accessory is 5” wide and 9” tall and has swirls of multiple colors. The circular toy sucker is connected to a short wooden stick. Add it to any Munchkin costume!